Located in the district of Banasea in the northern part of the city, the Bucharest Zoo was established in 1955. Its 5.85 hectares are home to about 800 animals covering about 100 species. Tigers, lynxes, wolves, bears, lemurs, pumas, iguanas, snakes, poison frogs and a crocodile are some of the standard fare. You'll also find some goats, bighorn sheep, a horse, zebras, deer, an ostrich, and an emu. Visitors especially love the tropical birds section. Romania's rather impoverished past means that this isn't going to win prizes for best zoo in any international setting, even though the situation has improved in recent times. No feeding, noise or disturbing the enclosures and the animals. Bus 301 stop Gradina Zoologica. It would be best to drive or take a taxi to here. How popular is Bucharest Zoo? People normally club together Promenada and Herastrau Park while planning their visit to Bucharest Zoo. 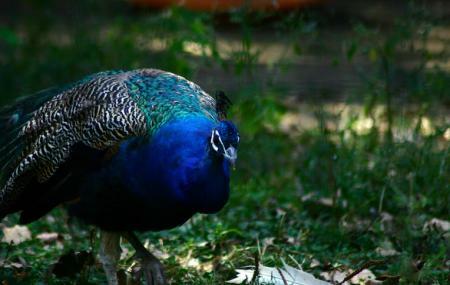 People also prefer to start their day with Bucharest Zoo. It's a relatively small zoo, but with some interesting animals such as lions, brown bears, tigers, snow leopards, lynx etc. The enclosures could be bigger for some of the animals, especially for the eagles. The tickets are quite cheap, 13 lei for an adult and 6.5 lei for kids. In weekends it's usually very crowded and finding parking spots could be a challenge. The zoo has a wide variety of animals from lions, tigers, wolves to monkeys, birds and fish. It's a good place to spend time with the kids. I drove for 4 hrs to reach the zoo more than half an hour before closing time (18:00) and i was not allowed entrance with my 2 year old becase "it's closed". This is not acceptable, just like the ignorance of the two security guards at the entrance. Half an hour for a 2 years old would have meant a lot. But hey, great to see that I had to drive 4 hrs only to be turned back. Zoo management: shame on you !! It is a small zoo compared to other city zoos in Europe. Being small, the animals do not have so much space and they look a little bit bored/depressed. Some cages are old, some are refurbished. The allies are clean. It would be nice if they could organizse some shows with the animals. Animals only in 30% of the cages. Plastik-trees inside some cage. The eagles really need more space. The best would be to close this Zoo!